Occupying a long stretch of pristine waterfront on the north-eastern end of Providenciales, this upscale resort offers an idyllic getaway for couples and families. Spacious guest rooms and suites are decorated with contemporary furnishings and feature a host of indulgent amenities. Many rooms afford sweeping views ocean views. The Blue Haven Marina puts an array of watersports and activities within easy reach, while eco-adventures abound on the neighboring island of Little Water Cay, only a five-minute boat ride away. 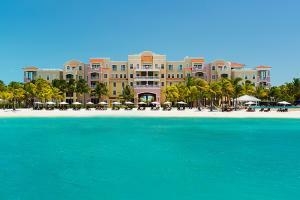 Conveniently located only 15 minutes drive from the Providenciales International Airport.